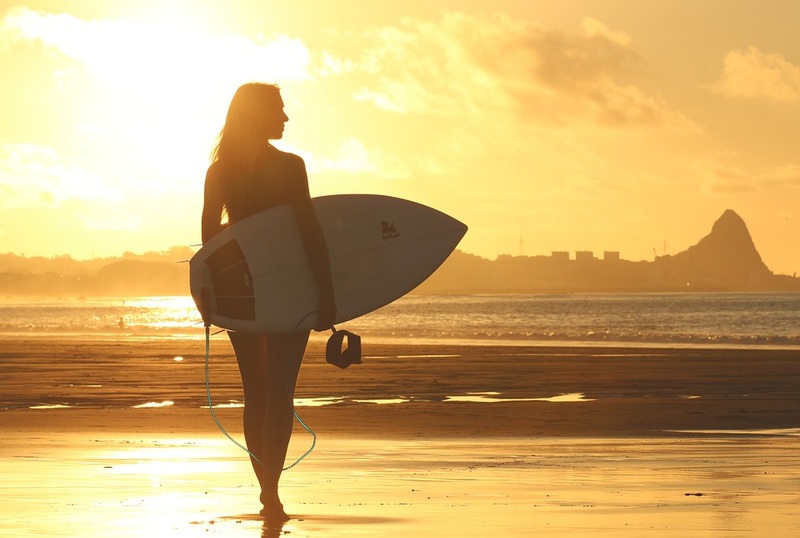 Do you want a holiday you won’t regret? We advise you to go on holiday to Playa de Aro! It’s wonderful to meet you here! This is a good sign, because it means you want the best holiday you’ll ever have with your family or friends. Discover Playa de Aro in the most practical way with your family or friends and stay in a villa or holiday home with private pool! You’ll feel free like a bird and you’ll be independent. It doesn’t have to take that much of your precious time to organize your holiday. We’re aware that it’s a bit a stressful moment for most holidaymakers. Time’s precious and there’s always too less time, because you want the best. Therefore, spend your time efficiently. To make it easier for you, we’ve created the TOP 10 of Playa de Aro. 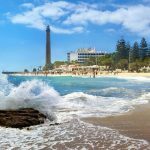 This TOP 10 shows you the best 10 things you can do and visit during your stay in Playa de Aro. Within a few minutes you’ll catch a glance of Playa de Aro as a holiday destination. Isn’t it fantastic? Do you want to spend an unforgettable day with your family and friends? Aquadiver is one of the most famous water parks on the Costa Brava. The water park in Playa de Aro is perfect for all ages, as there are attractions for children, youth and adults. So, you’ll have fun together without noticing the time’s flying. Enjoy various attractions, such as the slides, the kamikaze, the wave pools and other more quiet water tracks. Or in stead, take the famous wild river! After so many activities a hungry feeling might come up. 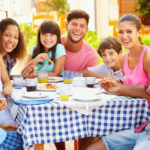 Recharge your energy by eating a snack in the restaurant or take place in the picnic area. There’s plenty of choice! Before you go back into action, it’s now time for relaxation. Take a sunbed in the pine forest and enjoy the pleasant environment. And in the meantime, the kids have fun as well! 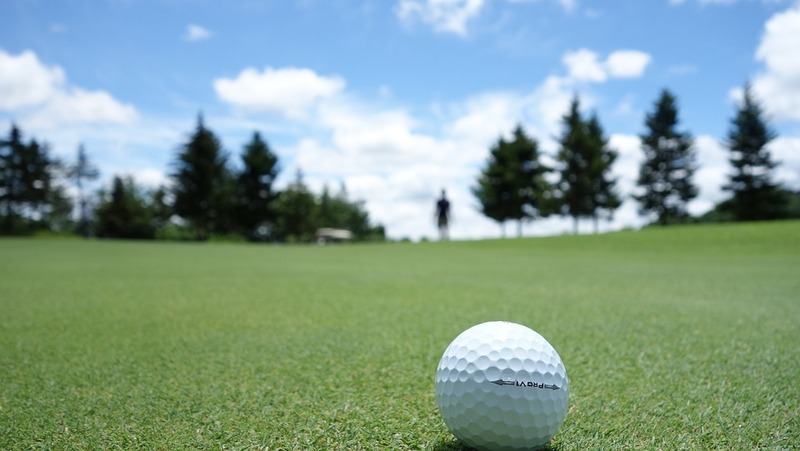 Are you a good golf player? If you like golf, it’s absolutely a must for you to go to Golf Club d’Aro-Mas Nou. It’s one of the oldest courses on the Costa Brava and it’s situated in the middle of the Natural Park “Les Gavarres” on 300m above sea level. This means you’re playing golf with spectacular views over the Costa Brava. You’ll be surrounded by olive trees, pine trees, cork trees and 2 artificial lakes. This magnificent area was named as the best golf destination in 2000. The golf course of Playa de Aro is a harmonious place, which is well known for its good quality and beauty. There’s a great variety of holes (27 holes in total) and the slopes are very nice facilitated for the moment when you get tired. The course is not only for professionals, also amateur players will feel very welcome on the golf course of Playa de Aro. Golf Club d’Aro-Mas Nou is ideal for a pleasant and relaxing day. If you choose for Playa de Aro as your holiday destination, then it’s a must to spend a relaxing day on the beach. Playa de Aro has a huge beach, known as Platja d’Aro. It’s a beach which is awarded with the blue flag. This means, for example, that the water quality is very good and that there are all kind of facilities (showers, restaurants, parking, etc.). Of course, a large variety of activities on the water can’t be missed. The banana, the flyfish, water-skiing and windsurfing are one of the many possibilities. Just as parasailing. Why not? From out of the sky you’ll have a beautiful view on the landscape of the Costa Brava! For your convenience you can rent sun loungers and parasols. And when you like a drink or some tapas? Near the beach you’ll find many bars and restaurants. Good company, your favorite drink, a blue sea and, of course, lots of sun! What do you wish more? What’s a holiday when you can’t enjoy every second you’ve got? Luckily, in Playa de Aro there’s always something to do! 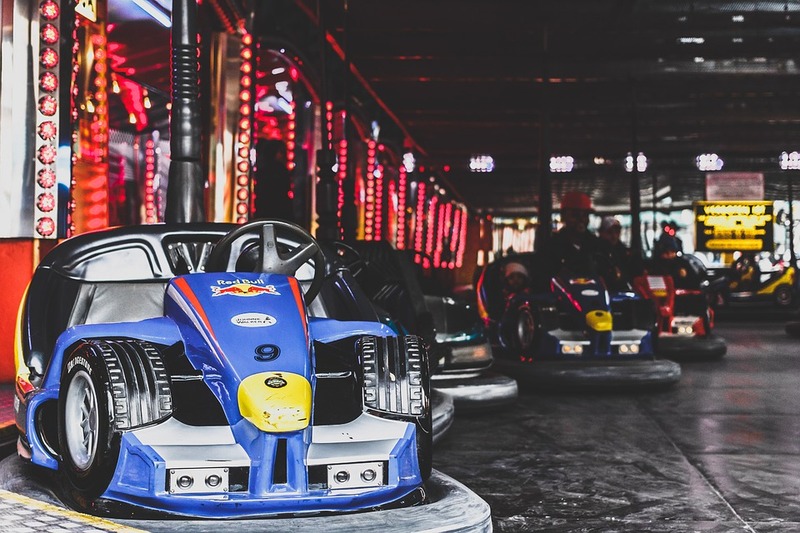 Go a day out with your children or come together with your friends, because it’s time to go to Magic Park. This is a great amusement park for all ages. The park consists of several zones, including a playground with trampolines, mini bumper cars and boats. Go for a battle and see who’s the best! Do you like to participate in sports? In another part of the park you can play football, table tennis or billiards. And that ain’t all, because there’s even a skating rink! After reading all, you’ll understand that you’ll have a great day of leisure with your family or friends in the Magic Park. 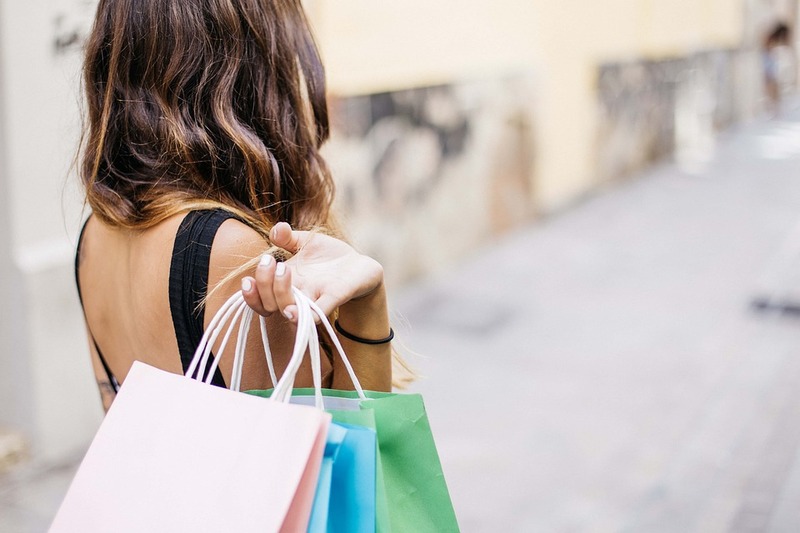 Shopping definitely should be a part of your holiday when you come the shopping paradise Playa de Aro! Lots of people who come to the Costa Brava even choose for Playa de Aro, because of the shopping opportunities! Playa de Aro is a very pleasant village and has a large selection of shops where you’ll definitely find what you’re looking for. There are stores and boutiques filled with clothing, swimwear, shoes, handbags and, of course, charming souvenirs. You’ll find many adorable things to bring with you for yourself or for the ones who weren’t able to join you on this trip. Along the coast, on the main street of Playa de Aro, you’ll find several boutiques and upscale supermarkets. For a break you can take a seat on a terrace and get a refreshment with an ice cream for example. In Playa de Aro is a wide variety of prices and styles. This makes Playa de Aro ideal for all budgets. Prepare yourself for crazy shopping days! It’s time for a little bit of culture. The original nucleus of Playa de Aro is founded in the Middle ages. It all began with the Santa Maria church (11th century) and the construction of the castle Castell de Benedormiens. The remains of the old fortress keep the memories in tact, as the castle was destroyed in the 19th century. 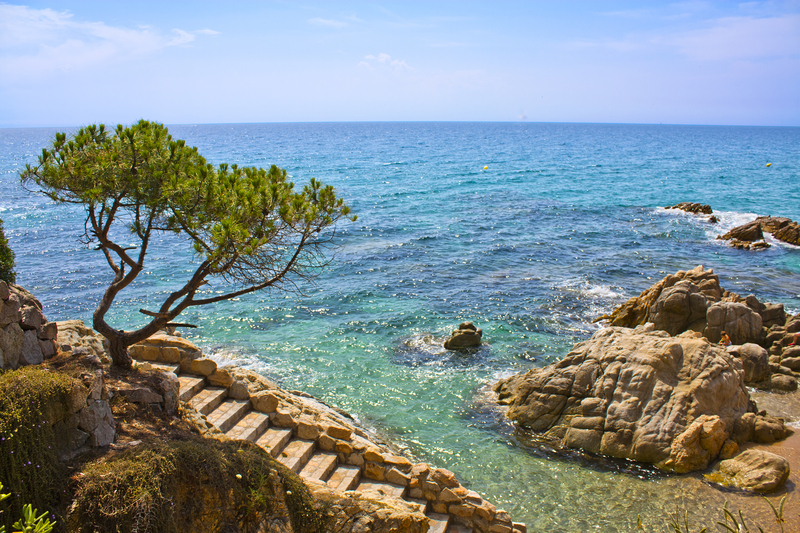 Playa de Aro doesn’t have a lot of cultural heritage, but what’s there to visit that’s really worth your visit. The Santa Maria church is a very interesting object. Go by foot to the beautiful parish church and get impressed by this wonderful building. Which is, by the way, the biggest tourist attraction of Playa de Aro! 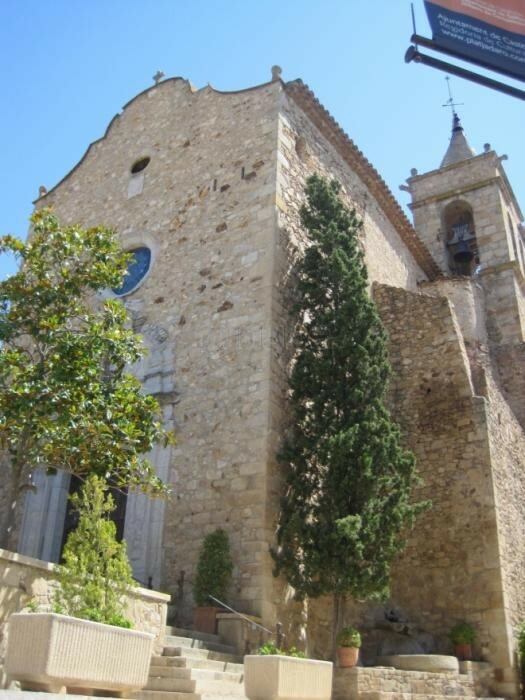 The church is built in the style of a Catalan country house and is situated in a beautiful green landscape. This will provide you with a great serenity. Take your time to have a pleasant moment, while you’re imagining the history of this church. Don’t miss the opportunity to visit the most visited monument of Playa de Aro. Your visit will be rewarded. Ready to unwind and discover the great nightlife of Playa de Aro? Go out for a drink together, or if you like to dance, go clubbing! Playa de Aro is well known for its nightlife, as for its youthful, modern and innovative side. So, if you’re looking for a place with some movement during the night, Playa de Aro won’t disappoint you! 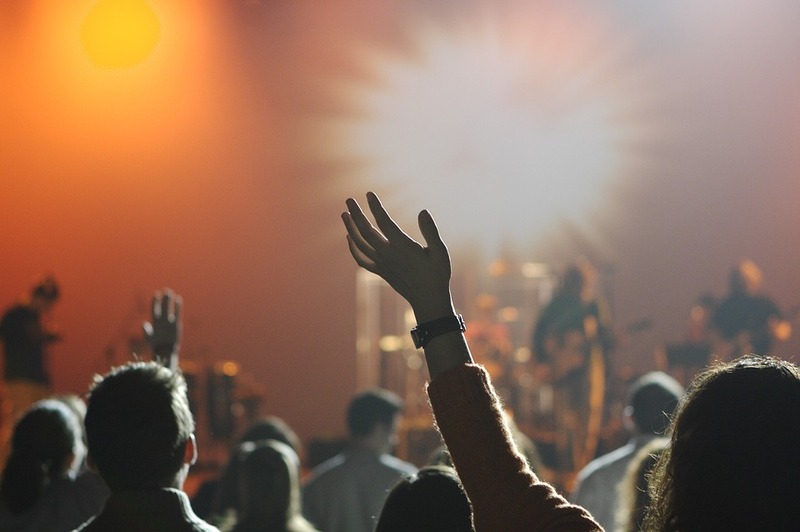 You won’t be alone, as visitors from the Costa Brava and locals of resorts nearby come to Playa de Aro to have fun and go clubbing. Along the promenade you’ll find many bars, clubs and discotheques where you can party all night long until sunrise. Tip: Try Pacha Box. This is the sister of the famous nightclub Pacha on Ibiza. It’s as good as the one on Ibiza and you’ll have an unforgettable night. When you’re on the beach, you’ll probably like to have some refreshment. On the beach of Playa de Aro (almost 3km long) you’ll see a variety of water sport activities. Make your choice and have even more fun! You can choose between windsurfing, kayaking, diving, a boat trip on the catamaran, a sailing course and lots more. Something you can’t miss is parasailing! A unique landscape, which you’ll admire from the air, is waiting from you! For more fun you can also make a ride on the banana, the flyfish or the so called slyder. And if that ain’t enough you can rent a boat or a jet ski. Float quietly over the water or go full speed! 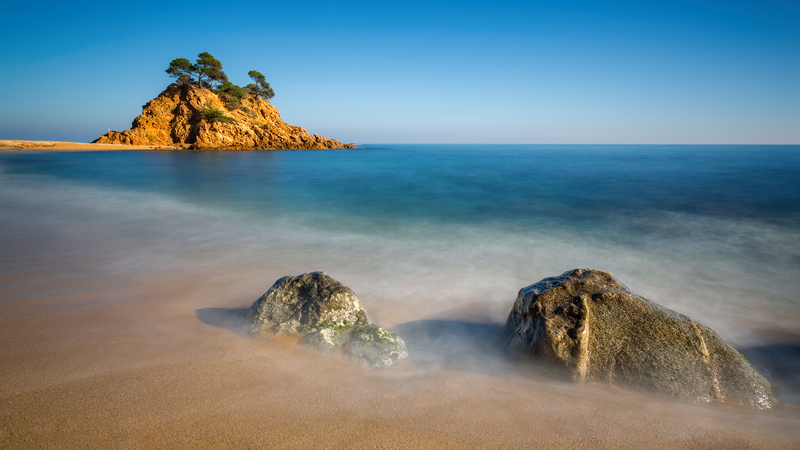 The beach of Playa de Aro is a true paradise for water sport fans. Are you ready to explorer the area of Playa de Aro by bike? Its surroundings are perfect for cycle lovers who love adventure and want to spot the authentic villages. By bike you’ve got a great combination of sport, nature and adventure. 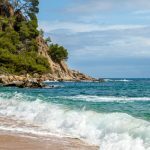 You’ll have the opportunity to wander through wonderful green areas and along the coast you’ll meet a unique and beautiful side of the Costa Brava. Breathe the fresh air of the forest and feel the pleasant sea breeze. If you start to get a little tired of pedaling, you can easily take a break in one of the historic villages. This offers you a great opportunity. 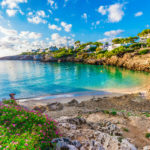 Now, you can visit places only a few tourists have seen, but which is coveted by the majority of holiday makers who like to experience the authentic Spanish ambiance. To find your way through the beautiful area, the Tourist Information Office of Playa de Aro provides cycle routes of different levels. Like this, everyone can enjoy a great day on a bicycle. Playa de Aro is a holiday resort that’s moving more and more towards family tourism. For this reason, you’ll find here many activities for the whole family, including activities for the little young ones among us. 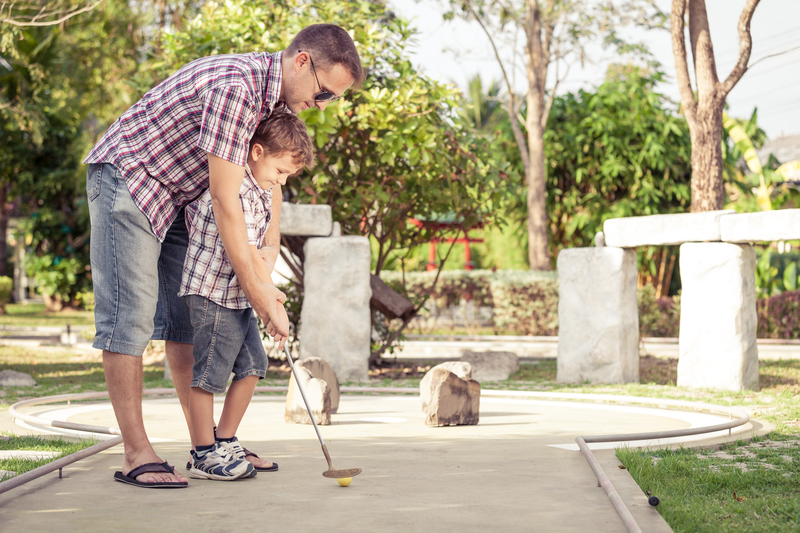 If you want to spend a nice day with the family, Lobs Mini Golf is a great place to go to! The kids will love it, just like you. There are enough challenges for everyoneto have the day of your life! On the Costa Brava is Playa de Aro a very popular holiday destination among holiday makers. In addition, this excellent resort (declared of national interest) has a beautiful beach, that has been rewarded with the blue flag (which refers to its good quality). And don’t forget about all the activities you can do here! Have you already made your decision? Or do you prefer more information about this wonderful holiday destination on the Costa Brava? If so, please feel free to visit our website which we dedicated specially to the Costa Brava.